I have grown to absolutely LOVE efficiency. Mostly because I have minimal time to waste. If you are anything like me, there are a million things going on at any given time! For me, the only way to actually get things done is to BATCH. If you haven’t heard of batching before, it’s simply taking tasks that are the same or similar and doing them together at one time. Examples would include: meal prepping, laundry, emails, work tasks, cleaning, etc. The list of options could go on and on! Batching allows you to focus completely on one thing, and get a TON accomplished at one time! Today, let’s look at some different ways you can apply this same batching technique to scheduling social media posts for your business. 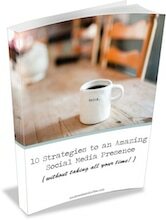 Over the years, I have experimented with several different ways to batch social media posts. I’ve always had a massive amount of posts to create, and here are 3 different options that I liked. 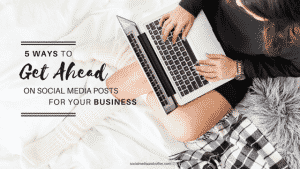 Carve out one specific time where you are going to schedule posts for 1 social platform at a time. Getting these scheduled and ready to go will take the urgency out of your day-to-day work. You will know that your posts are scheduled, and you can relax about it until your next scheduled batching session! If your time allows, you could even dig deeper into that platform right then. Comb through the details of your page. Does the cover photo need to be changed? Are the details about your business still accurate? Do you tabs on the side need to change? Should you create an event page for something coming up? Since this one page has your full attention, you are likely to notice things that should be updated and kept fresh. After you create your scheduled posts, you could also take some time to create ads. You could schedule boosting any posts as desired, creating a Likes campaign if you are needing some more followers, or even dive in to the ads manager and create some ads. This same idea can apply to every social media platform your business is on. You can sit down and spend focused time scheduling your Instagram posts, Tweets, Pins on Pinterest, etc. Giving each platform focused time and attention (even if it’s only periodically) will help you keep that page fresh, and eliminate the overwhelm of running that page daily. This idea is a little different. To batch by topic, sit down to schedule your posts. Have all social media platforms that you use open and ready. Pick your topic – for example, say you select a certain new product that you are launching. Create all of your posts about this ONE PRODUCT on ALL social media platforms. To do this, I would suggest quickly planning out how often you’d like to post about this one product. For example, say you decide that this month you’d like to put up 5 Facebook posts, 5 Instagram posts, and 15 Tweets about this product. Create your Facebook posts. Copy them to Instagram and tweak them for that platform (add hashtags, remove links, etc.) Then edit those same posts down to 15 Tweets. This creates efficiency because you only have your head in one idea at a time. You are only curating photos of that one particular product, and likely you are referencing the same information and links to create your posts. Also, you have an accurate picture across the board of how often you are talking about this product. Sometimes if you are just posting scatter-shot about each product, it’s easy to loose the big picture. After you do this, pick your next topic and follow the same process until your post slots are all filled. 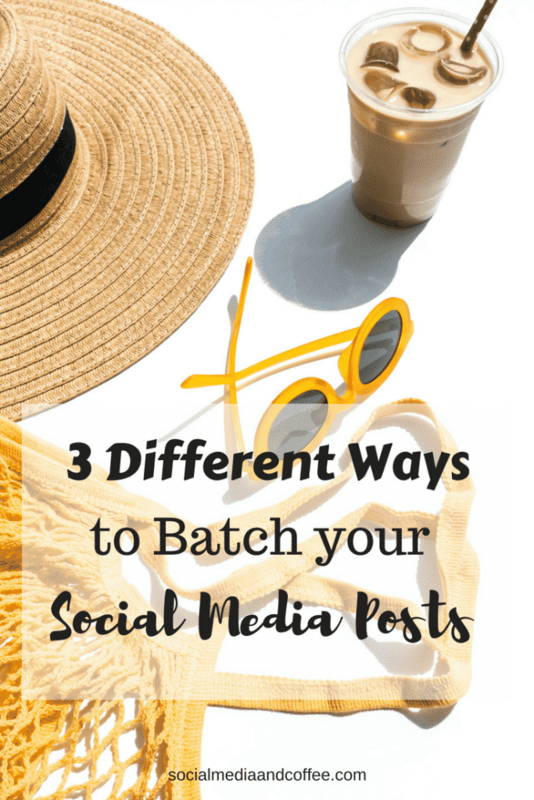 This idea of batching is simply taking your posts 1 day at a time. Sit down and schedule all of your posts for tomorrow, on all social media platforms that you use. Then, move on to the next day, and so on. This technique allows you to see at a glance exactly how far out your posts are scheduled. It can give peace of mind that you have this many days in the can and ready to go. NOTE: All 3 of these options are great ways to batch, and I have found success in all of them. They each create focus and the time to get things done. While none of them is “better” than the others, I have found that each one require you to think just a little bit differently. So try each of them out and decide how your brain works best! Which one gives you the feeling of laser focus and accomplishment? Does one technique make you feel more scattered? Personally, I tend to like #2 – Batching by Topic. This one suits my thinking process the best! 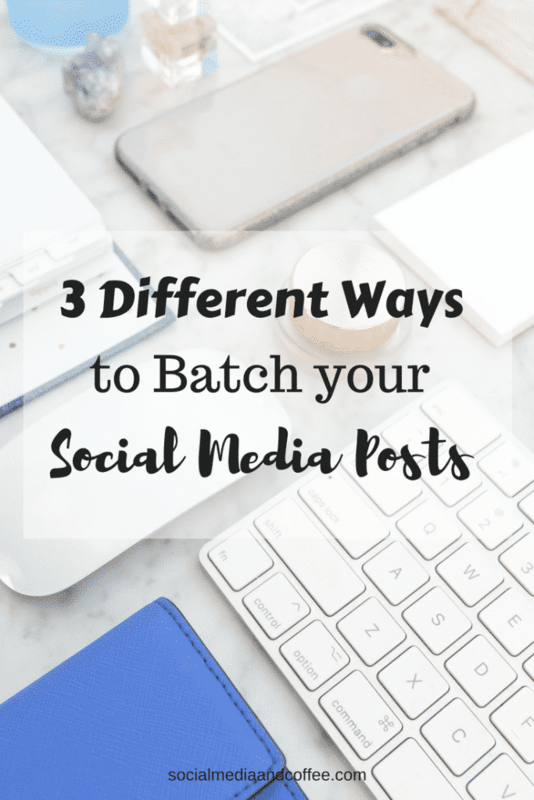 Want to remember this 3 Different Ways to Batch Your Social Media Posts article? Save it to your favorite Pinterest board!